Jeremy Thomas is an author, speaker and all round survivor. As a result of overcoming his own battle with manic depression and bipolar disorder he co-produced with Dr. Tony Hughes the Emmy Award winning documentary ‘Stephen Fry, The Secret Life of a Manic Depressive’ and is the co-author of You Don’t Have to Be Famous to Have Manic Depression – An A-Z Guide to Good Mental Health. 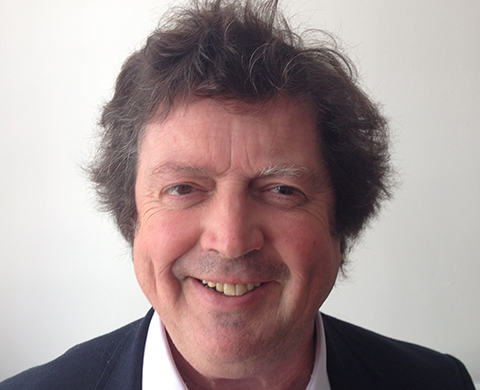 He has written articles for The Times and The Daily Mail and he has appeared on BBC Television and Radio. Jeremy lives in Fulham with his wife Jane , cat and dog and also spends time writing on the island of Patmos. He considers himself a lucky man. Jeremy reaches out to students, parents and staff in schools, colleges and universities in an attempt to normalise the subject of mental illness and take the Hammer Horror out of old perceptions. The talks and workshops are based around Jeremy’s own experience of dealing with depression, addiction and manic depression and offer a series of practical and useful tips on how to stay mentally healthy and get the best out of life. He also demonstrates why prevention is far better than cure and that humour can be the best way of talking about such a serious subject. His talks are personal, authentic, funny, poignant, passionate and at times hard-hitting. Jeremy makes the whole subject of good mental health interesting and something to be embraced. He draws on his extensive experience of mental health, the music business and a writer of crime thrillers. The aim is for the students to learn something that might be useful for themselves now or later in their lives or simply helpful for understanding a family member or close friend encountering mental health problems. To leave students with a lasting impression that mental health is as important as physical health and to dispel any sense of shame or embarrassment that they or others might have on the subject. Jeremy was truly an inspirational speaker to attend school today. From the outset, his wit and informal approach had the boys ‘on-side’ and utterly enthralled at his talk. Here was someone who has the experience and erudition to speak to the pupils and yet never preach, a rare quality in a speaker. His talks were incredibly well received, interlaced with practical and heartfelt tips, generating discussion amongst the students for the remainder of the day. The dominant theme was ‘why cannot more speakers be like Mr Thomas?’ Quite – he is a rare type of speaker and his message is poignant and vital for all ages from Year 7-13. We were incredibly grateful for his presence in school: professional, humorous and delivering a powerful message. Cannot recommend him highly enough. Many thanks! Jeremy Thomas’ talk was fantastic. He was wonderfully engaging, disarmingly honest, and full of very sound and practical advice. Whilst he deals with a desperately serious subject, his sense of humour is evident throughout. In talking to our pupils it is clear that they thoroughly enjoyed what Jeremy had to say and derived considerable and genuine benefit from it.